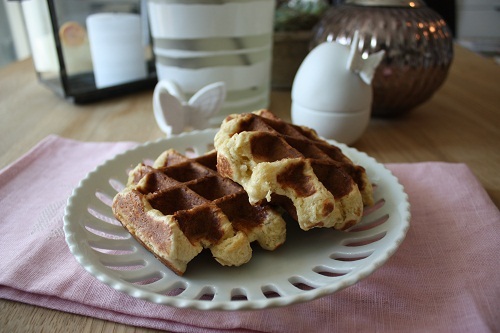 I fell in love with these waffles on a trip to Brussel in the mid 90, but living in Norway these waffles was not easy to get hold of and the only place I knew where to get them was in Brussels. 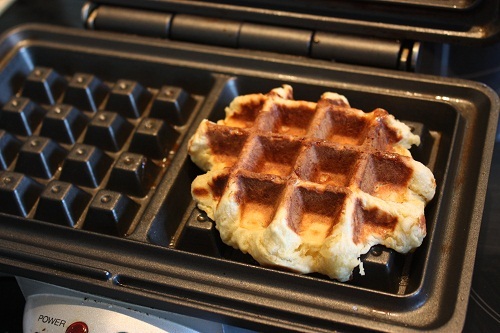 On a road trip to France many years ago I made my husband take a detour to Brussel just to buy waffles and we ended up having to spend the night, you might say it was the most expencive waffels I have eaten. Then knead in the butter and the sanding sugar. Let the dough rest for another 15 minutes and bake in a preheated waffle iron for about 3 minutes. 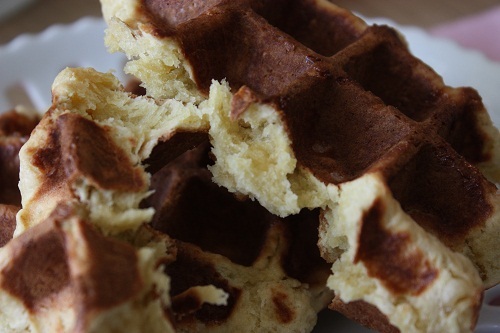 If you like this type of waffles I recomend you try this recipe.